Social Media Week got a little rowdy last night, as a crowd of 150 gathered at the Gershwin Hotel to join our panelists in taking on the worst social media campaigns of the last year. 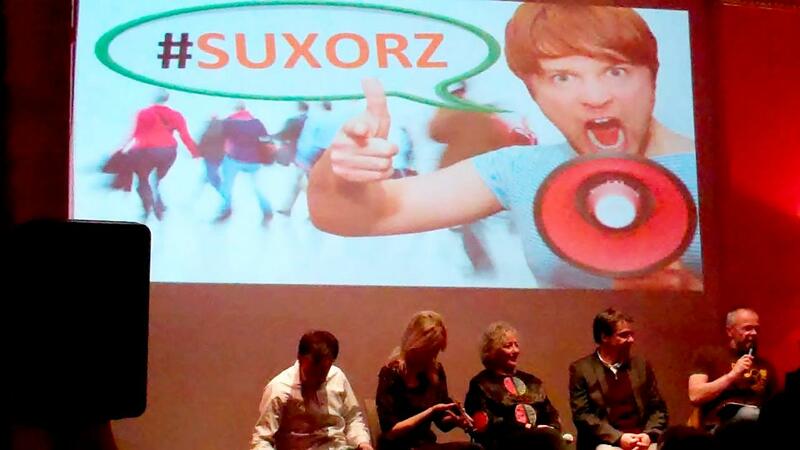 If you weren’t able to be there, you can relive the night via the #SUXORZ11 tag. Many thanks to Brian Clark, BL Ochman, Jessica Amason, and Brian Morrissey for lending their expertise and good humor, and to Social DJ Jon Accarrino for running A/V and keeping the crowd laughing. And of course, thanks to the audience, our Greek Chorus, who helped us pick our Grand SUXORZ. Without further ado, here’s a recap of our nominees and winners — or rather, losers — by category. This is where Internet memes go to die. These nominees took established memes and, rather than running with them, put them to sleep. 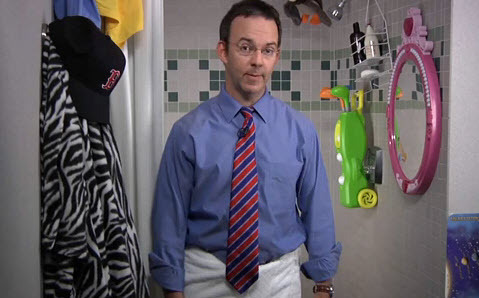 Perhaps an attempt to keep up with the Old Spice Guy, Cisco introduced us to Ted From Accounting. And who is he? Well, no one seemed to notice him, so we may never really know. When it comes to social media, some companies just don’t get it. This category recognizes such companies. 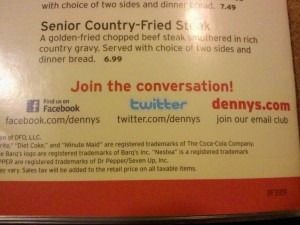 It’s great that Denny’s wants to connect with its customers on Twitter. Unfortunately, the Twitter handle they published in their menu was already taken by a man in Taiwan. 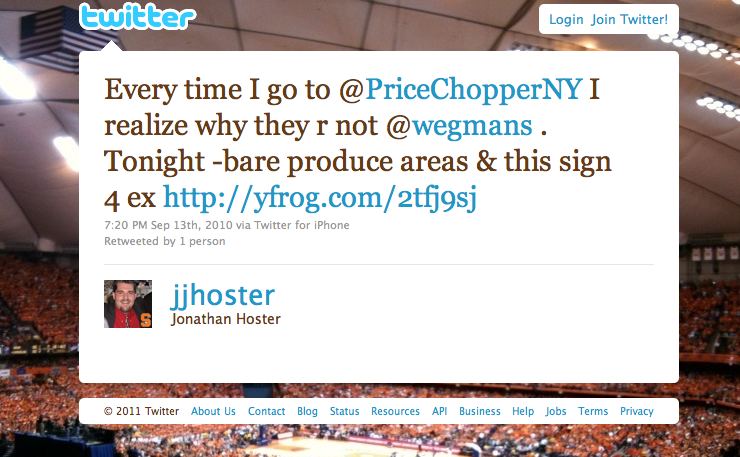 In a bizarre incident in the Syracuse area, a representative from the grocery store Price Chopper contacted an tweeter’s boss to try to get him fired. In our final round, we examined celebrities and pseudo-celebs getting all tangled up in the Social Web. It seemed so noble. Celebrities would stop using twitter until their fans could raise a million dollars for AIDS in Africa. Only problem was no one really wanted them to come back. In the final round, we pitted all four winners against each other, and in near-landslide fashion, Price Chopper took the Grand Suxor prize. Perhaps the ultimate lesson of last night is this simple: be nice and don’t hurt people. But, at least in the wisdom of THIS crowd, no social media crime is worse than when a big company comes down on an individual. Update: Jesse Stanchak gives a great blow by blow of the evening. Books are everything social media is not: composed and consumed in solitude, written and read at leisure, conceived and bought as blocks. Yet readers and writers are increasingly connecting to each other with tweets, apps, and book-based social networks. Join four authors as they discuss how social media is transforming the experience of writing, reading and promoting books — and what the changes may mean for authors, readers and publishers. The hashtag for this event will be #socialbooks. Register here. 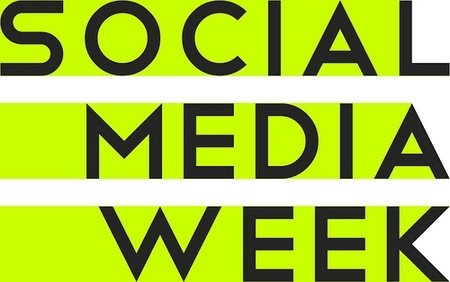 Amid tales of genius and triumph during #SMWNYC, the #SUXORZ11 panel will be the Greek chorus. 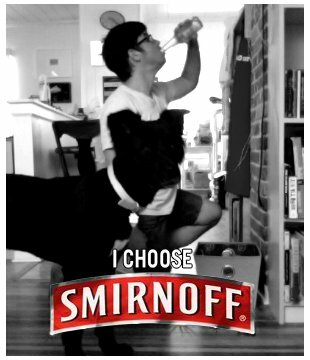 We’ll dissect the twelve worst social media campaigns of 2010, and then throw them to our drunken audience for comments and voting. It’s like what we’ve done in past years at SXSW… with the lubrication of complimentary beer and wine. Who will be crowned this year’s SUXORZ champion? The hashtag for this event will be #suxorz11. To get in the spirit, feel free to submit SUXORZ candidates to http://on.fb.me/suxorz. Register here. Tickets are going fast, so make sure to sign up now. Follow @blogads or catch us here: www.facebook.com/blogads to keep up with event updates. We also have notes from last year’s panels.